In many traditions of Paganism, handcrafts are used as a magical process. 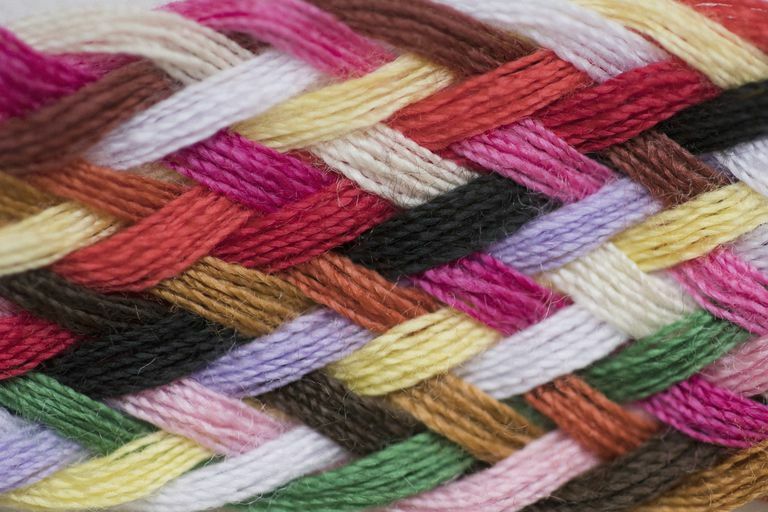 Weaving and braiding in particular are meditative exercises, and so magical workings can be incorporated into the creative technique. If you think about it, fibers in one form or another have been around for thousands of years, so it makes sense that our ancestors could have utilized them in spell work and ritual as well. By focusing on the process of braiding or weaving, you can let your mind wander off as your hands do the work. Some people report even being able to astral travel while doing such craftwork. When spring rolls around, you can incorporate some of the earth's goodies into your braiding and weaving. Use willow wands, long grasses, or vines twined together to create new projects, like a Grapevine Pentacle. If you have fresh flowers, you can braid a chain of them into a floral crown. If onions are in season, you can create a protective charm with an onion braid. If you have a strong connection to the moon, you can create a Moon Braid to honor the three different phases of the moon. For spell work, make a Witch's Ladder. Another great option that's not only a meditative exercise, but also a green craft project: upcycle old t-shirts or sheets by cutting them into 1" strips to use in place of yarn. Braid the strips, then stitch the braids together to form bowls, baskets or even prayer mats and altar cloths. Does the Moon Phase Matter When it Comes to Magic? Is It Safe to Practice Magic When You're Pregnant?